In an effort to cut losses at Lufthansa Group’s passenger airlines division, the company announced that it will utilize its LCC subsidiary Germanwings to operate flights out of its secondary German airports (i.e not Frankurt or Munich). As with other LCCs, Germanwings has shaved cost to the bone in an effort to remain competitive. For example, it operates non pressurised and heated cargo holds. The planes have no heating equipment for hot food thus only cold snacks can be served. They have reduced the number of toilets on the plane leaving two for 140 passengers. By reducing the amount of paint used on the planes (rendering them to be lighter), they can save 300,000 euro a year on fuel cost. A typical Lufthansa aircraft operated on routes within Europe is used on an average 8.5 hours a day in the air, while the Germanwings plane is in the air for almost 11 hours. Lufthansa will give Germanwings 30 aircraft. It is estimated that twenty percent of Lufthansa customers will now get to try the Germanwings experience from July 1. 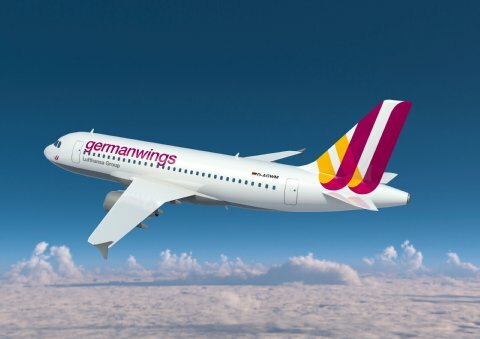 The head of Germanwings, Thomas Winkelmann, claimed the fact that passengers will have to board the flight via bus on the external apron would be better for passengers since it is faster than boarding via a jetway at the terminal. Interesting claim that is rather disingenuous. If a passenger is foolish enough to board a bus to the plane early, they have to stand in the bus for another 20 mins while waiting for passengers (like me) who only show up at the very last minute! The real reason is that it saves Germanwings money. The new planes will have three “levels” of service. In rows 1-3 the middle seat will be free with more legroom and a meal – the so-called “best fare” (best for who I wonder?). Rows 4-10 will have more legroom. Ryanair style service emerges from row 11. Here the legroom is apparently awful, and drinks and snacks are available for purchase. The biggest losers in this “me too” strategy from Lufthansa appear to be their mid-tier frequent flyers who will have to pay to access Germanwings lounges (25 euros) and even their top and elite tier frequent flyers will not have the same luggage privileges as with Lufthansa and to accumulate mileage they will have to purchase “best” fares i.e. highest priced seats. All in all, this is a lose-lose for Lufthansa’s increasingly less loyal customers. As I have opined in previous posts, the biggest failing of airline executives is their tendency to copy each other. When the ‘leader’ of the pack is Ryanair, there can be only one outcome: a race to the bottom. Austrian Airlines in the early 2000s experimented with selling food on board. The airline’s CEO, Søren Vagn, got fired largely as a result of passenger complaints. I can envisage both a legal challenge to Lufthansa’s new policy by its frequent flyers and a drop in passenger numbers. If Lufthansa loses on both counts, they’ll only have themselves to blame.